OxygenOS 3.2.0 OTA update is now available for the Oneplus 3 users. This one is the new official update, and it comes with the lots of bug fixes, improvements, Improved RAM management and lots more. 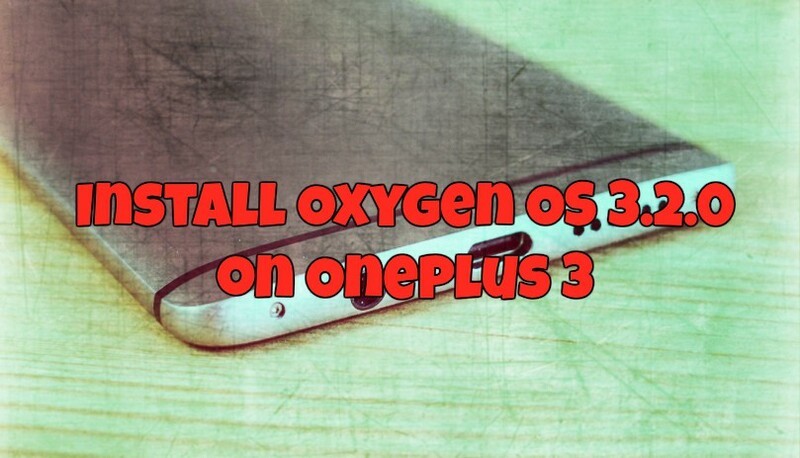 If you are Oneplus 3 user, then you can install Oxygen OS 3.2.0 on Oneplus 3 manually. Here in this guide, we are posting the OTA zip file for non-rooted users with Stock recovery and the Full Oxygen OS 3.2.0 ZIP file for the Rooted Oneplus 3 users with TWRP recovery. All you have downloaded the file from the below mention links and Flash the same on your phone to install the Oxygen OS 3.2.0 on Oneplus 3 Phone. Below is the full and working guide for both rooted and non-rooted users. Read all the instruction very carefully and follow all the steps. This tutorial in only for the Oneplus 3 users and don’t apply this method on any of other Android phone. Do take the full backup of your phone before following the guide. Step 1. Download Oxygen OS 3.2.0 OTA zip file from the below mention link. Check your Version first and download the appropriate file. And Save the File on your Phone’s Internal Memory. Step 2. Now boot your phone in recovery mode. Read here how to boot oneplus 3 in Recovery mode. Step 3. Once your phone in recovery mode. From here select Wipe data and cache. And Wipe cache from your phone. Step 4. Now go back and select “Install Form SD” and locate the OTA zip file that you downloaded from step 1 and flash it. Open the ADB folder where you saved the update.zip file. And open the Command prompt there. (shift + right click anywhere within that folder, select open command prompt here). Now Select “Install From ADB” From your phone. And enter the following command in the command prompt window. Let the file sideload, reboot and enjoy! Step 5. Once completed, Go back and Reboot system. Method 2 For Rooted Oneplus 3 users with TWRP recovery. Step 1. Download the Oxygen OS 3.2.0 Full ROM zip file from here and save it on your internal phone memory. Step 3. From recovery select Wipe > Advanced Wipe and Select Cache and Dalvik cache and swipe to confirm flash. Step 4. Go back. Select Install and Locate the Full ROM zip file and Flash it. Step 5. Once done. Reboot system. Voila. 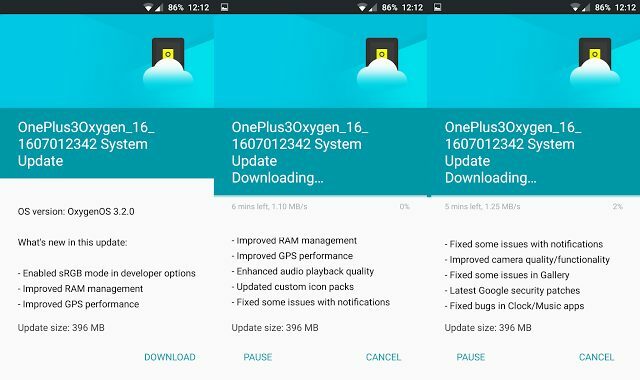 Now Oxygen OS 3.2.0 is running on your Oneplus 3. You can also do an ADB Sideload option. If you have the drivers installed on your computer. is it ok to flash the SuperSU together with the new 3.2.0 ROM? Or after flashing 3.2.0 again recovery mode and then SuperSU? Can I use this method also if I have hydrogen os on my op3?